Food pairing: Tuna, grilled or steaks. Bire is a new star in Croatia. He managed to make the very best of the ancient grape variety - Grk and as well to produce an exceptional Plavac from his very old vineyards. His wines are very sought after and rare to find. The Bire family is one of the most well-loved Grk producers on the island of Korčula. Their winery is well signposted from the main road, and you gear up for a major tourist attraction. But on arriving, we entered the premises to find a simple stone building doubling as both cellar, bottling area and tasting room. 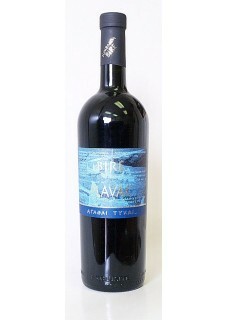 Ivo Mariner (the youngest member of the Bire family) revealed that production is a mere 5,000 bottles of Grk a year, plus 10,000 bottles of Plavac Mali. The Bire Grk has bread, white spice and and melon aromas, with a generous palate which reminds me of Pinot Gris. The length, as is typical for this grape, is very good. The wine is vinified in another small stone room, not much bigger than a garage, in stainless steel under temperature control. No sulphur is used during fermentation or bottling. Bire also make a Plavac Mali, which is aged in Barriques renewed every three years. The oak influence is subtle, and the wine is herbaceous, bone dry and full of dark fruits and leather.